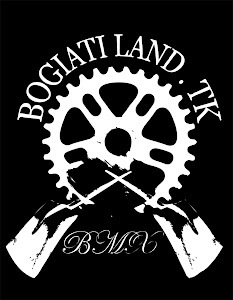 Bogiatiland: John Manaras the boss with his rail! Enjoy. Ο ΓΙΑΝΝΗΣ ΜΑΝΑΡΑΣ ΕΦΤΙΑΞΕ ΕΝΑ RAIL ΞΥΛΙΝΟ ΜΙΑ ΜΕΡΑ ΣΤΟ BOGIATI ΤΟ ΦΟΡΤΩΣΕ ΣΤΟ ΑΓΡΟΤΙΚΟ ΚΑΙ ΑΡΧΙΣΕ ΝΑ ΤΟ ΒΑΖΕΙ ΟΠΟΥ ΑΥΤΟΣ ΗΘΕΛΕ. ΠΑΡΤΕ ΜΙΑ ΔΩΣΕΙ ΤΡΕΛΑΣ ΑΠΟ ΑΥΤΟΝ ΤΟ ΑΝΘΡΩΠΟ. ΠΟΣΟ BELIEVER ΕΙΣΑΙ?, ΠΟΣΟ ΧΩΣΤΗΣ ΕΙΣΑΙ ? ΦAIΝETAI ΠΕΝΤΑΚΑΘΑΡΑ.THIS IS JOHN MANARAS. Video by Leonidas Germanopoulo congrats body! Αναρτήθηκε από keep riding.! στις 10:25 π.μ.